ABSSAC is an established supplier of miniature precision lead screws, encompassing power and high helix thread forms. 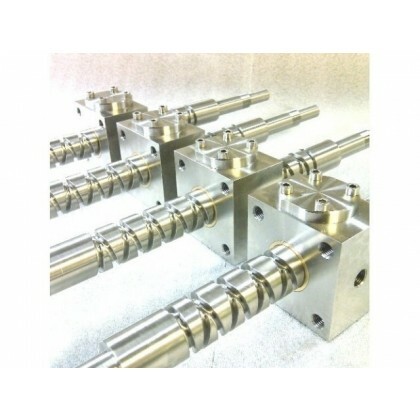 With well over 3 decades of application experience they have been assisting engineers specify the correct linear product into an ever expanding range of applications. With a range of matching nuts to suit a myriad of performances as well as the facility of a fast turnaround machine shop allowing the lead screw and nut program to be delivered, ready to fit. 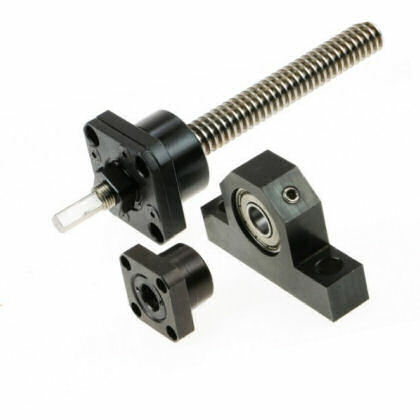 Using the machine shop also reduces customer scrap rates. Find the right product for the right price, including support bearings, racks and splines and other related ancillary products. 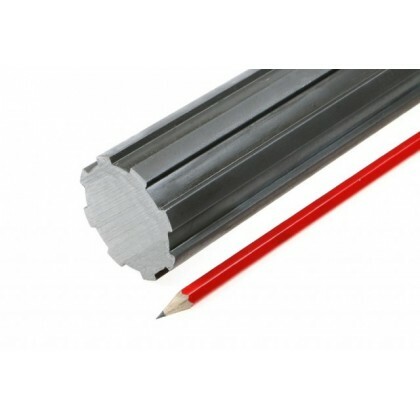 ABSSAC also supplies a full range of linear guides and rails which can provide the load support to a linear mechanism. Offering excellent rigidity and parallelism during operation the guides can be used in both vertical and horizontal planes. The whole program allows ABSSAC to supply a complete linear system, which they will assemble for you as well if required. Should you require further technical information, please do not hesitate to contact ABSSAC sales engineers who will be more than happy to help you with your selection. ABSSAC is also constantly investigating ways in which linear solutions are made more affordable. One method has been to employ plastic moulding injection techniques for the lead screw nut bodies. 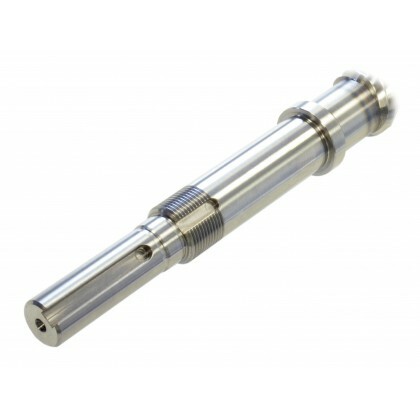 Then instead of machining the lead screw form , they have utilised cold rolling precision methods. Both methods significantly reduce unit cost and as shown in the image has no detriment to form and function. 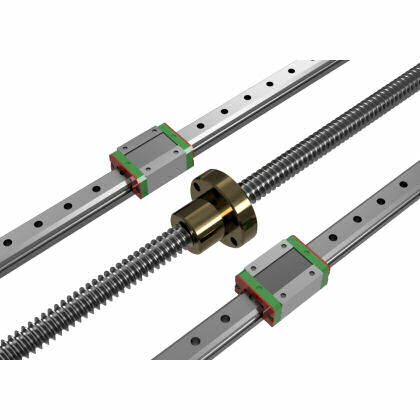 The lead screw shown below is a cold rolled formed 7 start, Stainless Steel screw with a lead accuracy of .25mm per 300mm of travel. (14TPI .250inch diameter .500inch lead). If you currently use lead screw and nut combinations in your application why not set ABSSAC the challenge to prove their affordable solutions. ACME SCREW, SST, 3/4-10, 5ST. 3/8-20 PREC V THD SCW 303 SST, CHECK w/ GO-NO GO GAUGE. 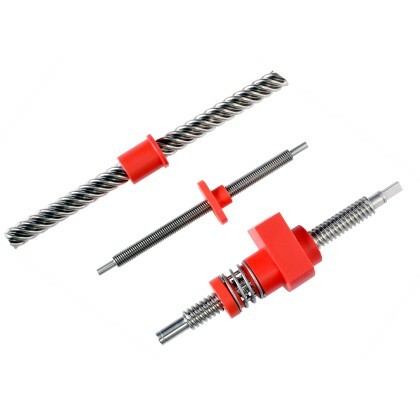 1/2" X .0125" VEE THREAD SCREW - MAX 72"